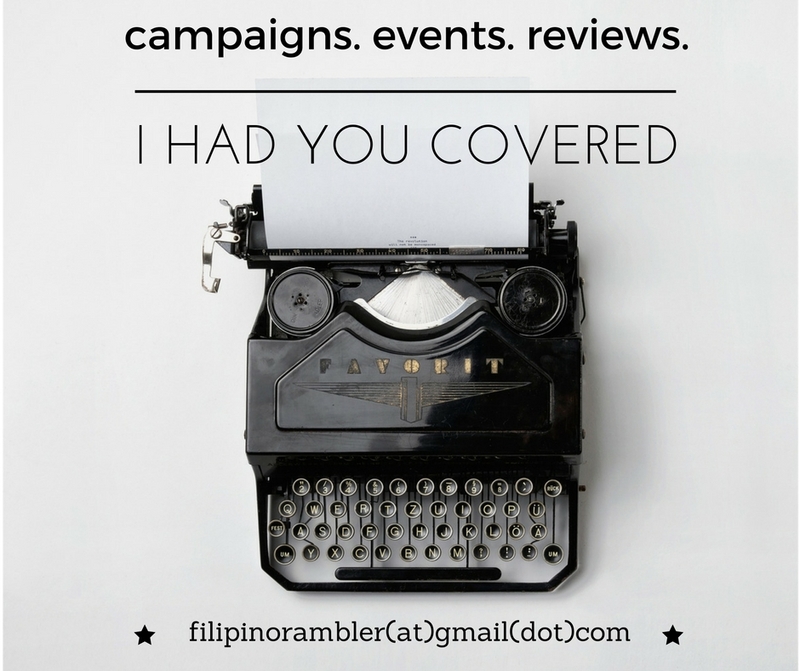 I just came from Coron when I saw an invitation to experience Zoobic Night Safari and Dinner in the Dark. Of course, I just can't say no. Ahihihi. It has been more than a decade already since I last visited Zoobic Safari- going back for a Night Safari will be an awesome experience for sure. We departed Makati around 1PM of Saturday and was at Subic by 5PM. We had a quick merienda and then headed to the assembly area. A special dinner event called 'Dinner in the Dark' is also taking place so we are up for a double surprise. While waiting for the night tour, we took the opportunity to take photos at the 'Trick Hall'. By 6PM, we started the night tour. It was around 30-40 minutes walk tour. Going around to see the animals brought the kid in me- smiling and feeling at awe at the beautiful creatures. Miniature horses- aren't they arodable? Our guide said that otters are super monogamous. When they have found 'the one', they will stick to their partner forever. Sana otter na lang si ex. Lol. I was hoping I will get to experience the Tiger Safari (I had experienced this on my first Zoobic Safari and t'was awesome) but since the Dinner in The Dark is taking place, we missed doing this. But don't fret just yet, Saturday Nights Just Go Wild on Zoobic Night Safari visitors will still get to experience the Tiger Safari, an enclosed safari jeep ride that will take you to the tiger's natural habitat, Croco Loco- a croc lair where you will have a chance to feed them. Feel the thrill and excitement at the Enchanting Forest with Greyhound Walk. Zoobic Night Safari 2016 will take you to an exotic sanctuary at night. 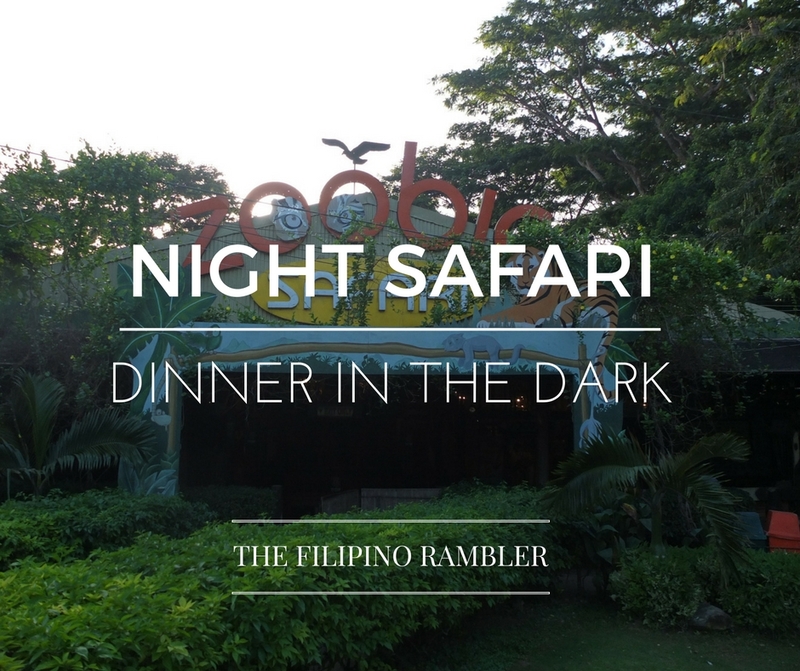 I was able to experience eating in the dark during this activity at Zoobic Safari. We were given orientation about this activity first before proceeding to the dinner hall. I thought this was just easy- peasy. We all experienced eating inside the cinemas, right? I thought it will just be something like that but I was wrong. After the orientation, we were blindfolded and I was led to my seat. I knew I was seated beside a wall- and felt myself panicking a little at the thought that maybe we will be eating in a small enclosed space. You see, I'm a little claustrophobic. I felt a little relief when I felt that a person is seated next to my right. At least I knew I wasn't inside a small space. Whew. Inside the hall, soft music is being played. Finally we were instructed to remove our blindfold and start eating. It was really dark, all I can see are silhouettes. Took me several minutes before my eyes dilated and got used to the darkness. And oh, eating wasn't easy. My spoon dived in my plate several times and got nothing. After getting the hang of it, I was able to manage and eat. But yeah it was hard. I feel for the visually impaired. It was hard not to see anything. Feelings and thoughts enveloped me. I have a baby nephew who can not see and for once I was at his situation. There was never a day that I did not pray for a miracle that he may have the gift of sight. I was teary eyed and I wished I can just give my nephew a hug that moment. I was thankful for this eye-opening experience. This a very noble activity from the Zoomanity Group. The series of 'Dinner in the Dark' is for the benefit of the Eye Bank Foundation of the Philippines. After the dinner, we then headed to watch the night show. We were treated to a spectacular show of animal parade, dances, light and fire. And yeah, the show was a delight. ** Experience the wild summer nights and see the other side of time of the animal kingdom at Zoobic Safari. For inquiries you may contact 8999595 local 344/ mobile: 0917 8351111 or vist www.zoomanity.com.ph Catch Dinner in the Dark from 5-8PM on these following dates: Nov. 21 Midori Japanese Restaurant Alabang Nov. 24 Metro Ruins in Metropolitan Makati Nov. 26 Zoocobia Fun Zoo in Clark Dec. 3 Zooper Cruise, Pasig River Cruise For tickets and more info, please contact the Zoomanity Group at 02 8899824-28, 09158904728 or email zoomanity@gmail.com ** PS. I adore these cuties. Ahihihi. Thank you Zoomanity Group and TAG Media for this awesome experience!